It’s fair to say the Rolling Stones have never been a political band. However, over their fifty-plus years in existence, they’ve always kept up with the times, with Mick Jagger giving his two pence about the current state of the world at the moment. From the horrors of the Vietnam War in “Gimme Shelter” with the lyrics “War, children, it’s just a shot away, it’s just a shot away” to pointing out we killed the Kennedy’s in “Sympathy For the Devil,” Jagger and the Stones have always had something to say, good or bad, while adding thunderous rock guitar riffs, and a bluesy sound to give it punch. 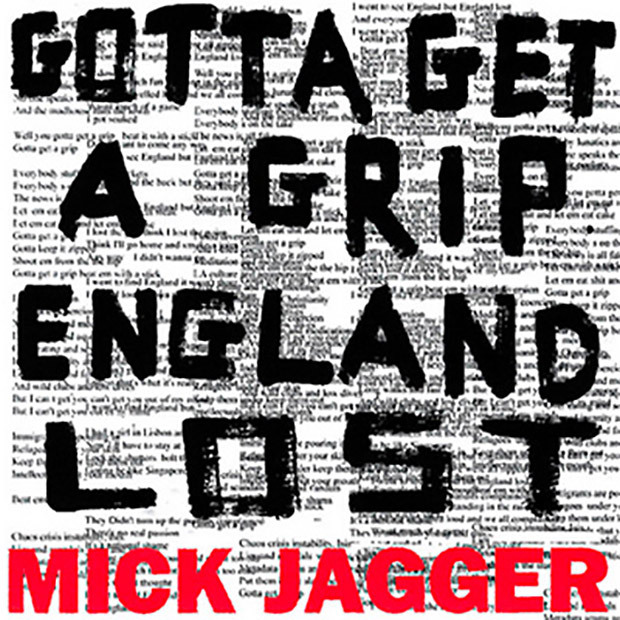 In his first solo release in over a decade, Jagger is again talking about the state of the world, more specifically Brexit and the way he sees it only going from bad to a little bid more bad with the release of “Gotta Get A Grip/England Lost”. The double A sides—released immediately after being recorded so not to lose any impact in their message—finds the Rock and Roll Hall of Famer pessimistic about the world, the political climate, “fake news”, and almost rapping to a bunch of synthetic, studio created beats but the results are impressive. Jagger loses none of his familiar swagger or bravado. These song’s lyrics may not have much hope or optimism but there’s obviously a lot of today’s music that influenced the musical direction these tracks take. If that’s a sign of things to come in a future solo project we’re in. Jagger fans can still take solace knowing there’s still plenty of the old Mick featured on both tracks. “Gotta Get A Grip” has a nice sharp, bluesy feel going on for the bulk of the track, complete with harmonica, and heavy guitar licks over lyrics “Gotta keep it zipped / shoot ’em from the hip / beat ’em with a stick”. At 74, Mick Jagger still has it with two outstanding tracks that definitely leave us more than satisfied!